Hello! Welcome to one of the stops on the Risen blog tour hosted by Entangled Publishing. 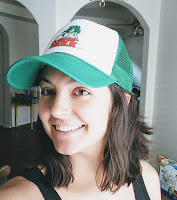 I'm really happy to share my thoughts on this book with you, as well as an excerpt from the story! 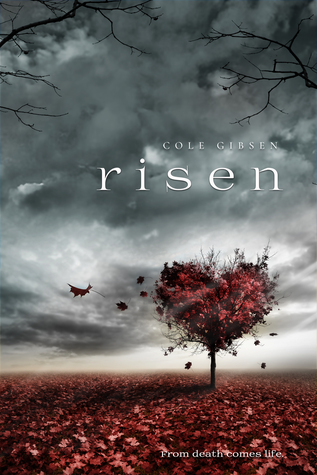 Risen was released into the world on March 27, 2018 and can be found here. Synopsis (via Goodreads): My aunt has been kidnapped by vampires, and it’s up to me to save her. Only…I had no idea vampires existed. None. Nada. I’m more of a reader than a fighter, and even though I’d been wishing to escape my boring existence in the middle of nowhere, I’d give anything to have it back now if it meant my aunt was safe. I received an ARC from NetGalley (was contacted about the blog tour afterwards) in exchange for an honest review. My thoughts and opinions are my own. Also, the quote I used may have changed or been altered in some way, but I am quoting from what I received. Questions, questions, and more questions. I actually struggled with what rating to give this book, because I did enjoy the story, but there were a few things that bothered me. Despite those pesky problems, I really want to know where the story will go from here, so I'll definitely be reading the next one! I'm all about a slow reveal. I actually savor the moments leading up to the big thing, but when those questions are never answered, I feel deflated and disappointed. I need some issues to be resolved before the end of the book, and I get a little frustrated when every answer seems to be reserved for later. 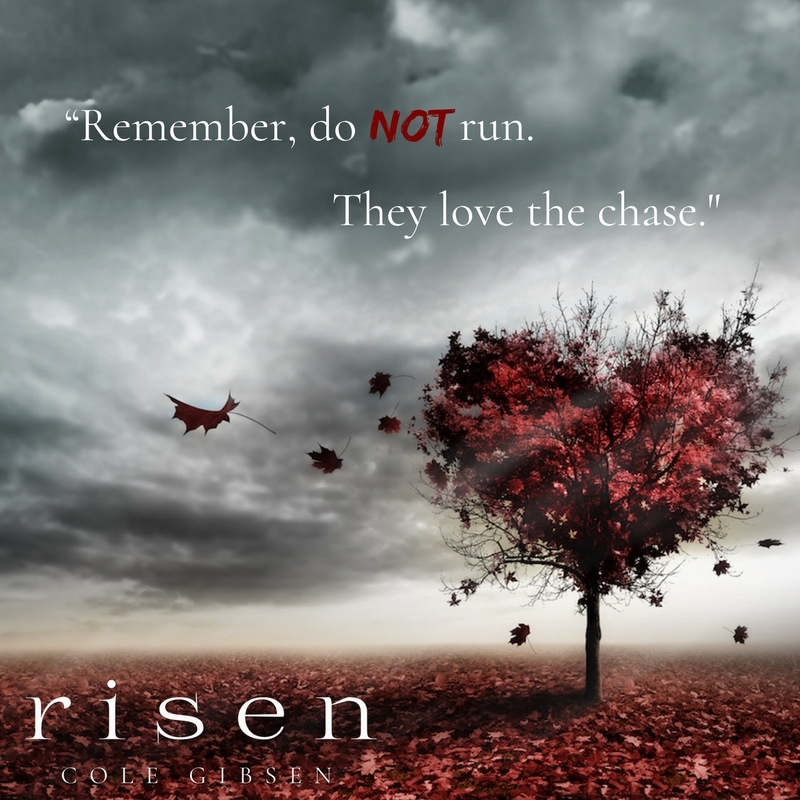 Risen ends with way too many questions and very few potential answers. I also struggled with the ease in which Charlie "trusts her feelings." I just don't know how accommodating I would be to a vampire that just assisted in the abduction of a family member. I know for the sake of the story, there has to be a little give so things can progress, but she seemed to forget all the bad a little too easily. Yes, she mentions her brain malfunctioning in that area, but thinking and doing are not the same. Once we get past the initial "don't trust the vampire," it was a little easier to go with the flow, but I did grind my teeth a few times when things fell into place without resistance or conflict. Sebastian is eager to protect Charlie for reasons, but more of his backstory would have been helpful (what he's able to share anyways). The added content at the end of the book with his perspective was only a little enlightening. I liked him as a character, but never felt like I knew anything about him. There were a lot of surprises that I wasn't expecting, and I'm not sure how I feel about them because questions. I don't even know if I'm supposed to believe or understand what I think I know. I'm also not sure why everyone else isn't freaking out if it's true. Then there is the mysterious Rachel, a person with actual answers, but she isn't sharing them right now. All in all, I'm curious what is going to happen next. I'll definitely be reading the next book in the series, and I'm assuming that is when I'll start getting some answers (at least I hope so). This book has so much going for it, and I don't say that lightly. It's been ages since I've read a vampire book, and this synopsis intrigued me enough to give it a shot. I wasn't disappointed by the story, or the characters really, but by a lack of information. Opal, Charlie, Sebastian, Matteo, Delaney... all very interesting characters that I would love to know more about. If you're looking for a vampire book to shake things up a bit, I recommended looking into Risen. Despite my issues, I was hooked on the story! Growing up, Cole Gibsen couldn’t decide what she loved more—dogs or books. Rather than choose, she decided to devote her life to both! Dog trainer (wrangler) by day and author by night, she’s the author of more than ten books with more on the way. I love the cover of this one. Thanks for sharing the excerpt and your thoughts. I might check this one out eventually. The cover is lovely! It's what initially made me interested in the book. I think the colors are beautiful! If you read it, let me know what you think! I love this cover but I’m so worried about the vampire thing. It might still be too soon. That's how I felt, too! I stopped reading vampire books for a few years, so thought it was time! It actually didn't read like most vampire books, but more like warring clans and mysterious histories. It's worth reading! Like everyone else, omg that cover is stunning, what a tree! I want this tree in my backyard, lol. I haven't read any of the author's other books, but I would love to. I enjoyed how she told a story, even though this one left too many questions for my liking. 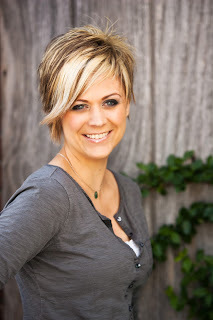 If you read another of her books, let me know what you think! It causes unnecessary frustration, and I feel like it takes away from the overall story. I'm constantly waiting for and anticipating answers, but then they never come. I kind of want to read this because vampires. But mystery for the sake of mystery, like when characters just won't tell the MC anything, is one of my biggest personal pet peeves in books. I'm not patient enough for that, and I just get frustrated. So idk. Maybe I'll wait until I can read some reviews for Book 2 and find out if the wait for answers is worth it! This book made me think of you! The one person that could have told anyone anything wasn't around (captured by vampires and all that), so it wasn't like the information was purposefully being withheld. I just don't like for books to end without a little resolution. I understand the need to keep secrets, especially when it's a series, but you have to give me something! I'm going to read the next one, so I'll let you know if it's more informative! I like vampires and this sounds interesting. I might have to get this one. It's good! Just don't go into it expecting answers or resolutions, lol. I think that's being saved for later. I plan on reading the next one, so we'll see! If you do decide to read it, let me know what you think! That cover!!! SO pretty! And I love that quote!